Officials from Medicare already announced, Wednesday, that they will cover the $93,000 cost of Provenge. Provenge is a drug that is said to give men with end-stage prostate cancer four more months to live. Medicare said that the drug manufactured by Dendreon Corporation is a very important drug and they want to ensure the drug will become accessible to a lot of men. Because of this, analysts said that Dendreon could sell up to $1 billion worth of the drugs. The decision will be finalized on June 30 and is said to be very important because most men with prostate cancer are 65 years old and above. Naturally, Medicare covers drugs approved by the Food and Drug Administration. FDA cleared Provenge April 2010. Medicare’s decision to review coverage of the drug caused outburst from the public. They said that this is only the government’s way of avoiding reimbursing a costly drug. Provenge is one of a kind as it is the first, and so far the only drug that utilizes the patient’s immune system to fight the cancer cells. Studies have shown that it can increase prognosis of prostate cancer by 100%. Moreover, it causes fewer side effects than chemotherapy. Jim Kiefert, a prostate cancer patient, said that among all the treatments he had, Provenge had the least number of side effects. 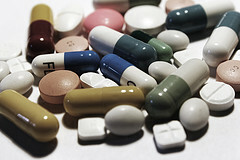 He further said that no one can put a price tag on human health, especially for a drug with very minimal side effects. Bioethicists, however, argue that Medicare’s decision shows how bias the overall health care system in the U.S. is. Health care takes one fifth of the country’s economy only because the government tends to take pride in high technology, rather than going back to the basics.